The Third Frontier War is over, and the Western Alliance is triumphant. All across human-occupied space, colony worlds celebrate the coming of peace. But the colonists are a different breed than the passive mob on Earth, and they have no intention of meekly surrendering their hard-won freedoms. On worlds all across the frontier, plans are hatched and weapons hoarded. And in taverns and meeting halls the words of an ancient text are uttered in hushed tones. A little rebellion, now and then, is a good thing. I love the story but listening to this bad narration is realy anoying. His voices are not in context to what is happening. His reading is weak and slow. Even in places where it should be strong and fast. It bothers me the most in combat scenes. He reads officers giving soldiers orders in battle like they are asking politely for something in their country club brids game. It sounds pathetic and weak while the characters are anything but. Get a new reader and do it all over again. I'll just read the next one. The women's voices were absurdly falsetto, some of the most powerful characters sounded like effeminate teenagers, and using reverb to try and make up for variety just didn't work. I am really surprised Jeff Bower was invited to narrate the second, let alone the third. His female character voices were absolutely terrible, too. imagine Robin Williams in the Mrs. Doubtfire movie but nearly satarically intentionally worse "man speaking in falsetto woman's voice." I bought these on a big discount promotion and at this point have no interest in continuing the series because the narration is so distractingly terrible. 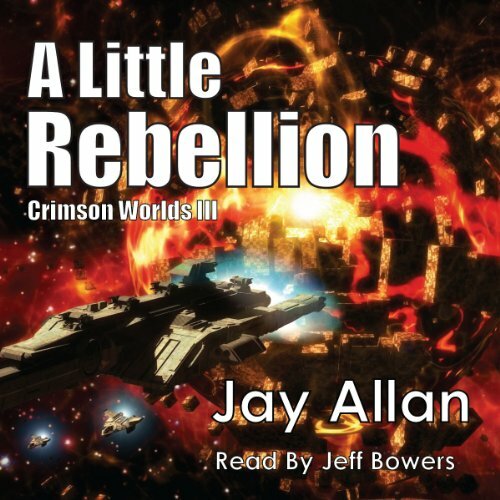 Enjoyable Audible book and story. Jeff Bowers narrative was a little lacking in depth. I personally would like a little more masculinity in the male voices. Also in to many sentences there is an almost questioning tone in the ending. In most cases very softly inference but still it there. Not as good as books one and two but still good. A necessary book linking the series together. The storyline is predictable but entertaining. The narration is frankly deplorable. While the narrator's normal voice is pleasant enough, his character voices are ridiculous and cartoony. enjoyable listen with great narration. only complaint would be that the characters are a dichotomous in their moral states. some more grey would make them more believable. The story development was good altho it could have used a little more storyline development. The story progresses a little too rapidly. However.....once again the narrator really takes away from what would be a good book. His range of character voices is absolutely terrible. He makes male battle hardened troopers sound like timid gals (nothing against our hardened women in our armed forces) and vice versa. At times it is was very difficult to distinguish which character was actually talking. The narrator has a very poor range of voices and almost shouldn't even try. Anyway, it is a good story. You just have to bear the narrator. The narrator frequently "acts" female characters by adopting not just a fake and high pitched voice, but one with a simpering quality that is heavily suggestive of misogyny. The narrator also does not know how to pronounce a noticeable number of words in the text. To be fair to the narrator, I think some of the worst mistakes were probably on the part of his director. I suspect the director required the ridiculous voices, given that he made the grave but all to common mistake of using sound effects like using heavy reverb to signal that a voice is from a computer and so forth. Director, I hope you somehow read this: please refrain from sound effects! If your narrator is good they will be able to develop subtle but distinguishable voices for the characters without needing recourse to sound effects which almost always distinguish second rate productions. Using reverb effects is such a big mistake that I have read entire essays on the subject. Total breakage of suspension of disbelief. If you want to know how this is done right, please listen to a bit of anything narrated by John Lee. He is able to perform large numbers of characters with complicated relationships without ever resorting to unnatural sounding voices. Please, all you directors and producers out there: Please don't use sound effects like reverb. It just looks like you are compensating for incompetence.